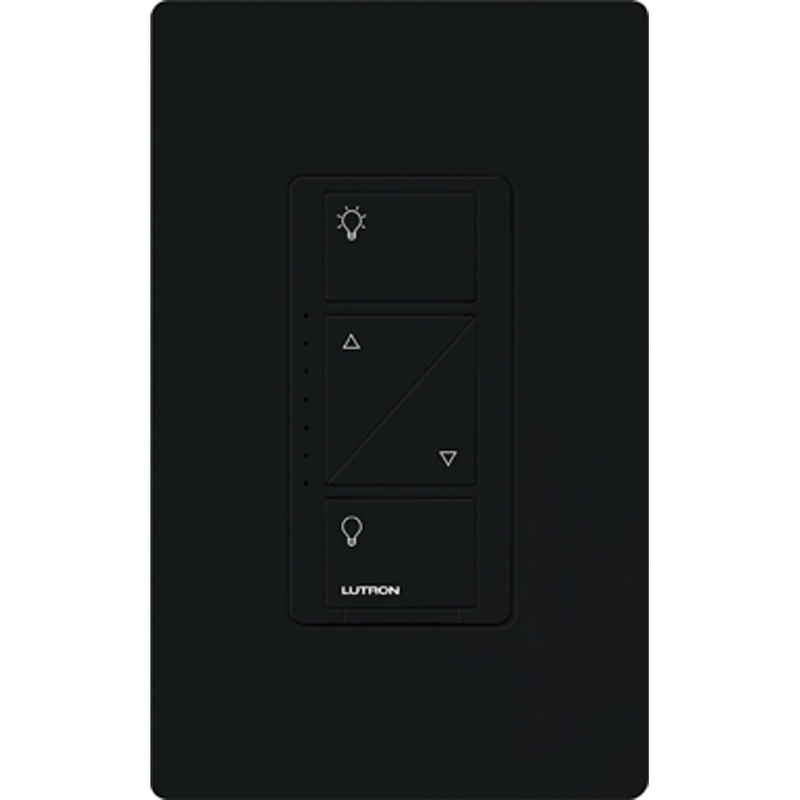 Lutron Caseta® 1-Pole Multi-location dimmer has voltage rating of 120-Volts at 50/60-Hz. Dimmer in black color, works with Lutron® Radio Powr SavrT occupancy and vacancy sensors in standalone applications. It comes with front accessible service switch for safe lamp replacement. Dimmer in gloss finish, has maximum load capacity of 600-Watts for incandescent/halogen and 150-Watts for CFL/LED. In-wall mountable dimmer measures 2-15/16-Inch x 4-11/16-Inch. Dimmer operates at temperature range of 0 to 40 deg C. Dimmer is cULus listed, NOM certified and FCC approved.